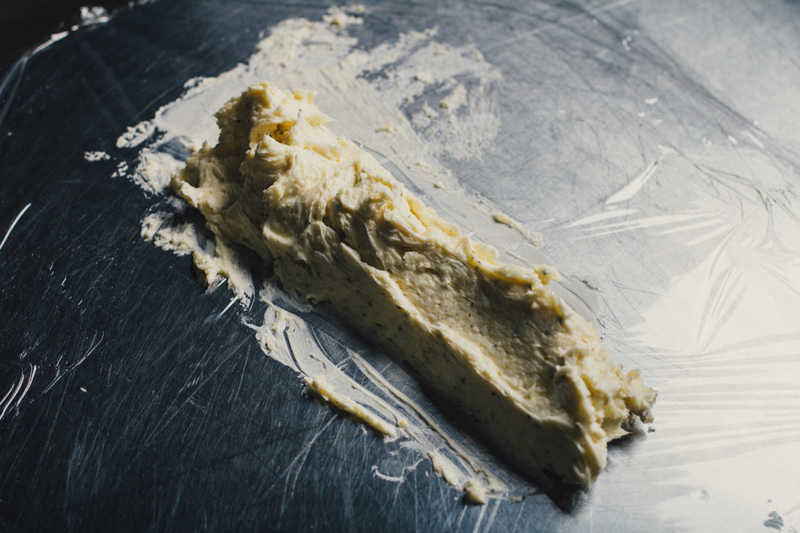 A compound butter is simply butter with flavoring agents mixed in. 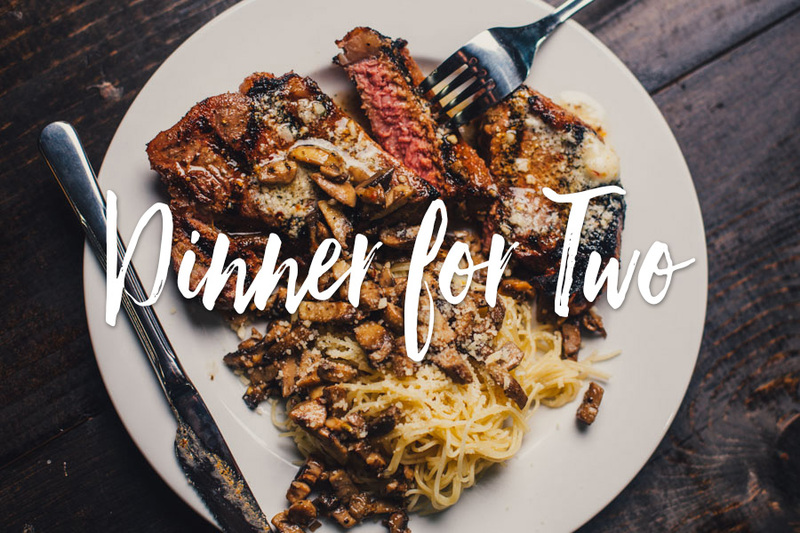 In this case, we’re using Cattleman’s Grill Italiano Seasoning, lemon, garlic, and parmesan. These flavors will complement the beef and pasta in the best possible way! After mixing the ingredients, you can create your own packaging for easy storage and later use. Wrapped in plastic, the butter is kept fresh. Shaping it into a log makes it easy to slice off a pat at a time as you need it. This recipe will yield more than you’ll need for one meal, but you’ll appreciate that later. 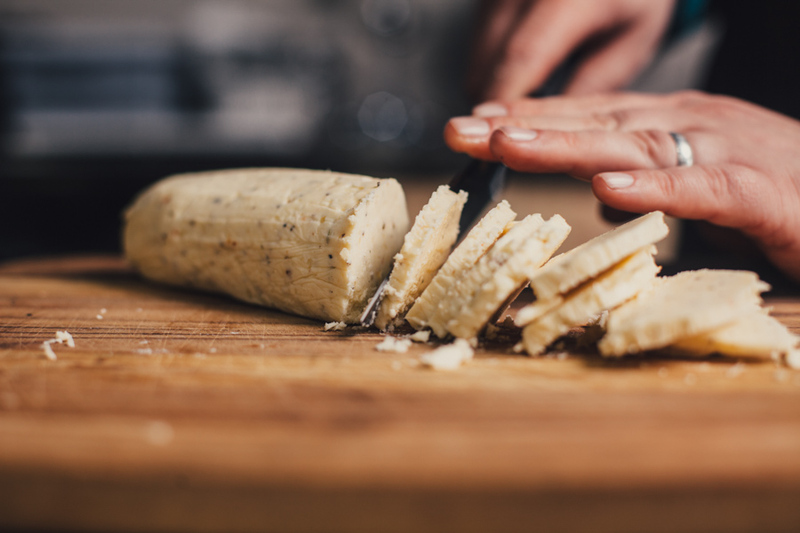 To add overall depth of flavor to the dish, we’re cooking some mushrooms (in the compound butter, of course) to top the steaks and pasta. Simply seasoned steaks are always a winner. A little rub goes a long way to bring out the natural flavor of the beef. 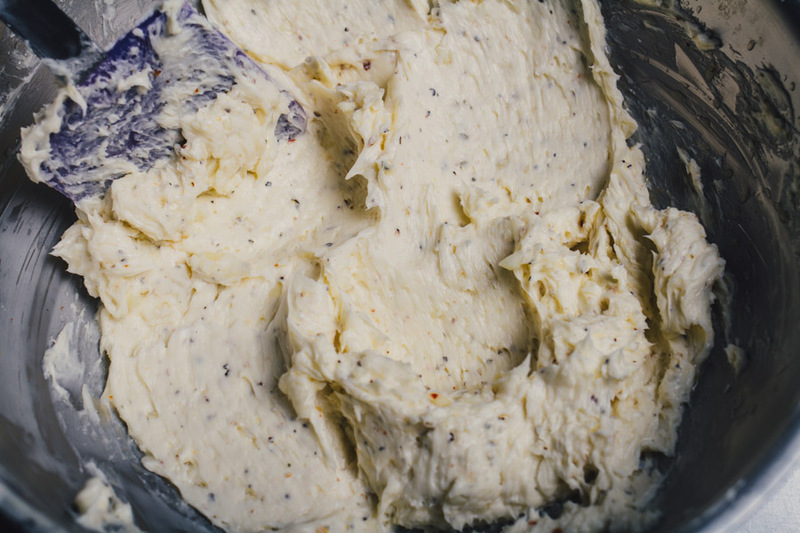 Combine all ingredients for the Italiano Compound Butter in a bowl, and mix well until all ingredients are incorporated. 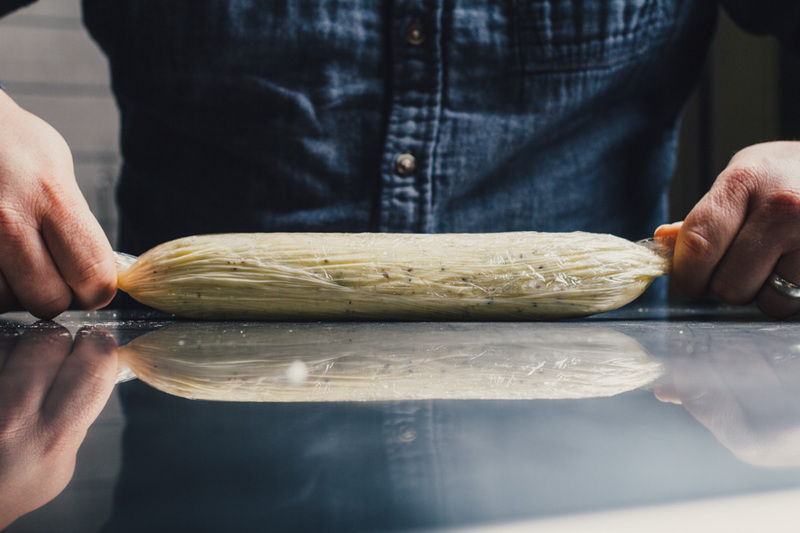 Place the compound butter in the center of a sheet of plastic wrap. Wrap the plastic around the butter and form into a log, twisting the ends of the plastic to fully encase the butter. Place in the refrigerator to firm. Preheat your Yoder Smokers YS640 Pellet Grill to 425ºF, set up for direct grilling with GrillGrates. Also, place a Lodge 10” Cast Iron Skillet in the cooker to preheat. When the skillet is hot, add a few pats of the Italiano Compound Butter and let melt. Then, add the diced mushrooms and about 1 tablespoon of Cattleman’s Grill Italiano Seasoning. 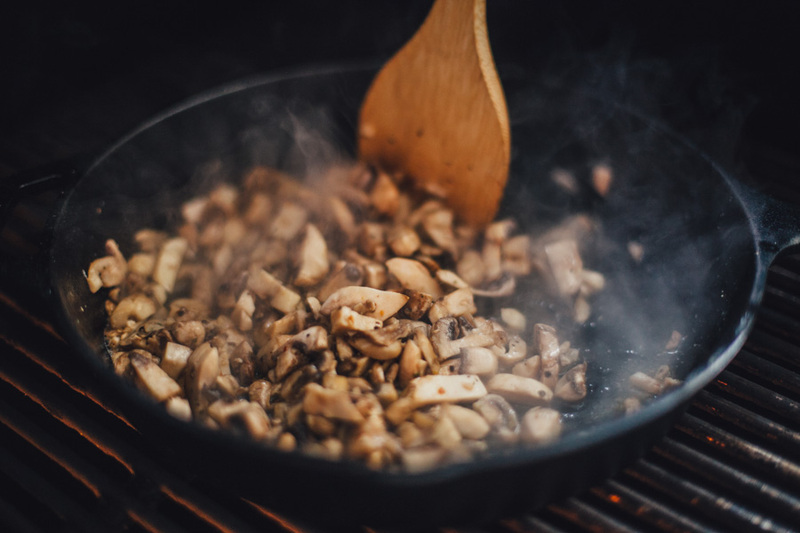 Cook until mushrooms are softened, about 15-20 minutes, stirring occasionally. Meanwhile, cook your pasta to the desired doneness, toss with a little olive oil, the 2 tablespoons of parmesan and hold warm. 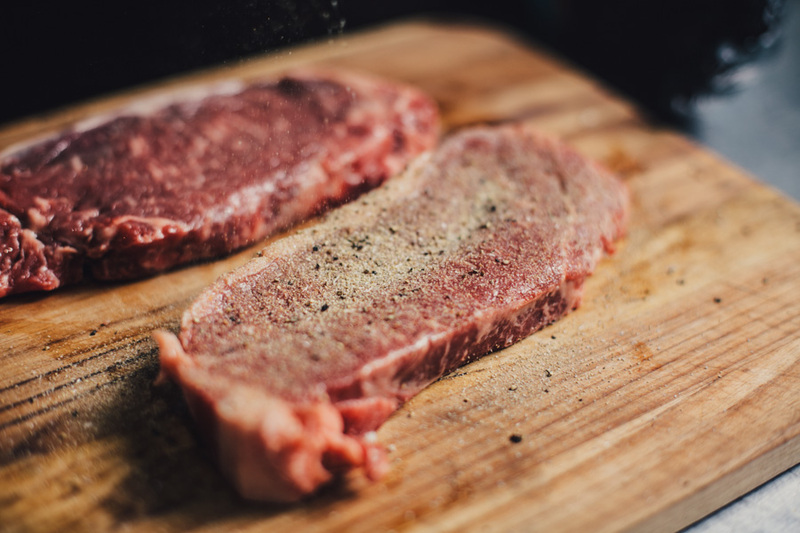 Rub the strip steaks with a little oil, then season with Kansas City’s Cowtown Steak and Grill Seasoning on both sides. 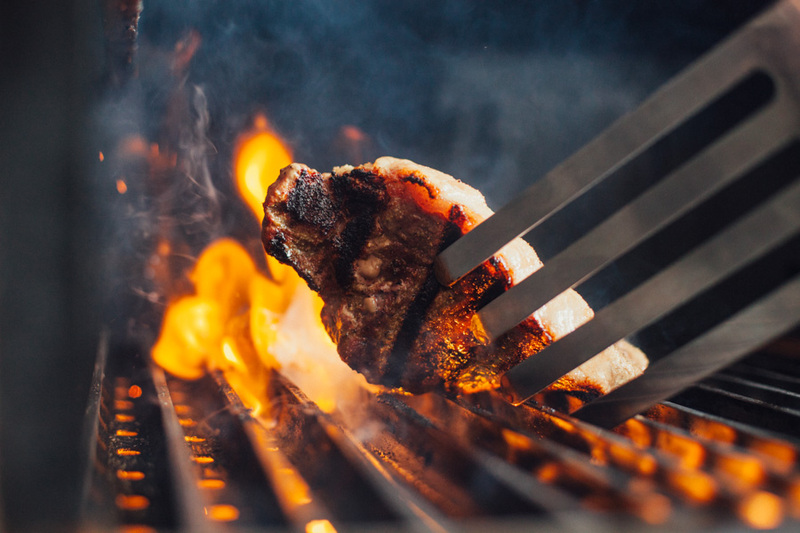 Grill on the GrillGrates, both sides, until the internal temperature reaches 125ºF-130ºF for a medium rare-medium finish. You can check the internal temperature with a digital thermometer, like the Maverick PT-75. 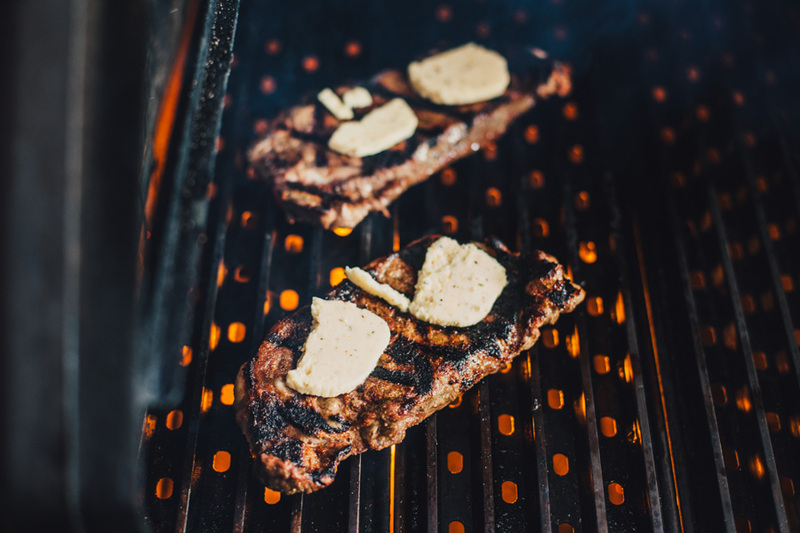 A minute before removing the steaks from the steaks from the grill (a few degrees shy of your goal) place a couple of pats of the compound butter on each steak. 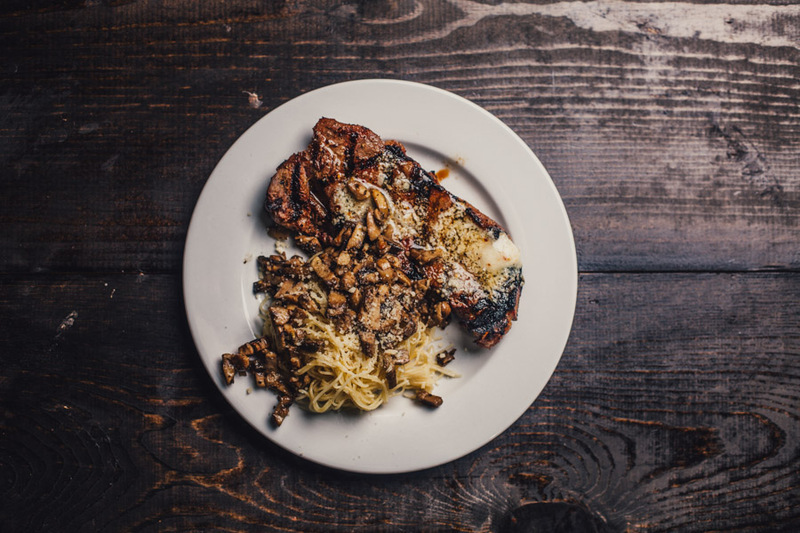 Serve the steak and pasta topped with the diced mushrooms.